Don’t be daft do a multiple draft! The children in Year 1 are working hard to perfect their sentence structure and writing skills. Through multiple drafting, the Y1 children can produce high quality, independent writing. Together we can… speak clearly, loudly and with confidence. The Y1 children have completed a sponsored “Reading Rhymes Challenge”. The children needed to learn to read at least one rhyme (from a high-quality selection) and focusing on developing their oracy skills, perform it loudly, clearly and with expression to their classmates and teachers. With help and support from their families, the children were able to complete this task with confident articulation. 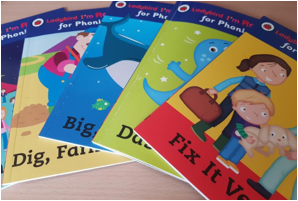 Each child then received a fantastic “Home Learning Pack” with lots of decodable reading books, reading games, flashcards, writing and maths activities. Together we can… read for pleasure at home and on Super Saturdays! Each child in Y1 has a Reading Journal to record their home/school reading as well as a grid of home learning reading activities. The expectation is that all children will read at least 5 days a week for at least 15 minutes, as well as completing 2 reading activities from the Reading Journal. 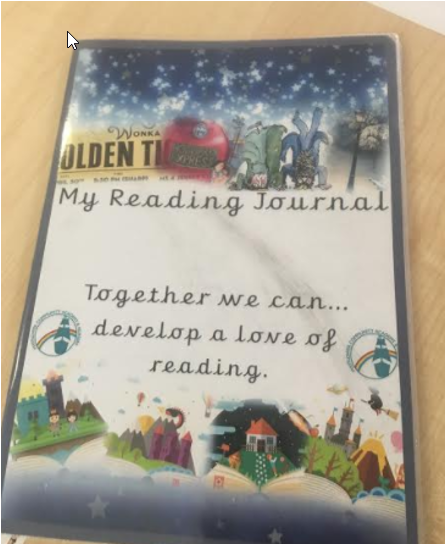 The Reading Journal is brought to school each day. Every Friday Y1 share their Reading Journals and we use this special time to develop oracy skills, discuss features of books, share learning experiences as well as writing letters and tweets to authors. Y1 wrote a tweet to the famous author, Michael Rosen to show their Reading Journals about “We’re Going on a Bear Hunt” and he responded to us! Y1 love to learn! Every Saturday, Y1 children attend Super Saturday School to join in with lots of exciting learning opportunities. Here we are, reading traditional tales with a twist… This is a time for the children to facilitate their learning, explore and engage. Y1 children have asked that they do lots of different activities, including maths, science, phonics, writing and reading- watch this space for more exciting learning!